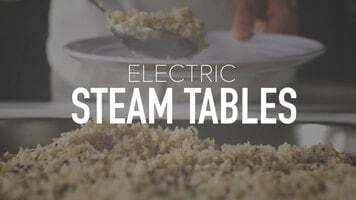 Thanks to its sealed well design, this Eagle Group SHT3 three well, sealed well, electric steam table offers a time and money saving serving solution for your cafeteria, buffet, or restaurant kitchen. 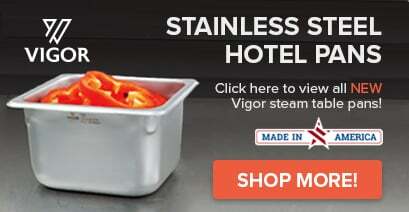 Made of one-piece, deep drawn 304 stainless steel with fully coved corners and 1" of fiberglass insulation on all sides, the hot food table's 3 sealed wells are specifically designed to prevent cold spots and promote consistent, even warming. 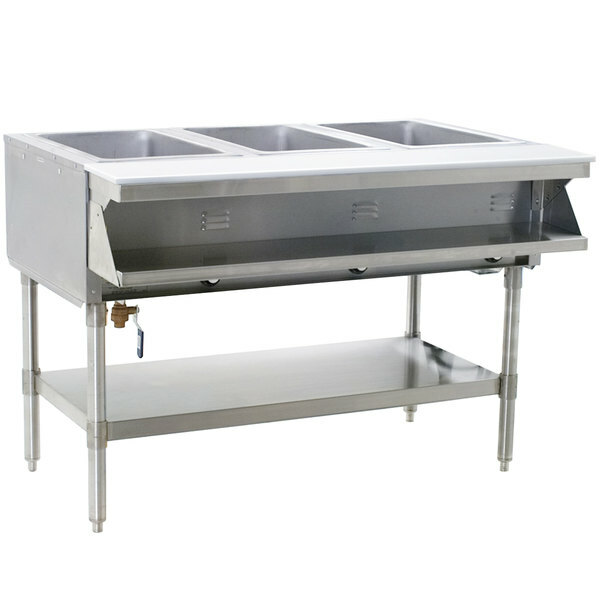 The Eagle Group SHT3 closed well hot food table also features a removable, 7 3/4" wide full length polycarbonate cutting board which provides ample space for food preparation and plating. This unit comes with a NEMA 5-30P plug. Great alternative to more expensive models. Does the job well. No complaints. Solid construction, compact design. Highly recommend this for those who are tight on space and cash.